This article is written by @Rajnikant_rkp, who has written the book “Foundations of Misery : Blunders of the Nehruvian Era“. You can buy it here or here. During the Nehruvian era good things also happened. 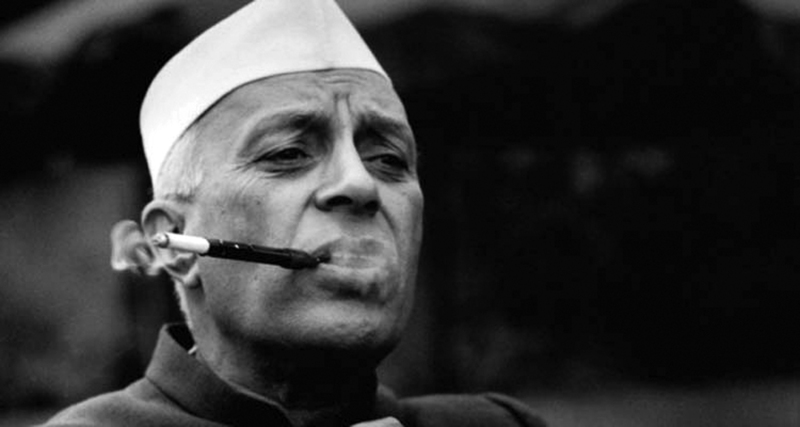 Given the long period of 17 years that Nehru ruled, certain good things had to happen. However, the sad point is that the achievements of the period were a very small fraction of what the potential was, that is, what could have been achieved. A third-world country like Singapore with NO natural resources went on to become a first-world country within a short span of about 15 years, while India at the end of Nehru’s 17-year rule remained a poor, miserable, third-rate, third-world country of hungry millions begging the world for food, even though it was far better placed than Singapore at the time of independence! Similarly, several other East-Asian countries that were much behind India when India gained independence raced far ahead of it. Nehru’s leadership is unique not only in terms of the paucity of achievements, or the large gap between the potential and the actuals, or a very poor show compared to other comparable nations; but in the blunders that he made. Other leaders too make mistakes, but Nehru can beat them all hands down. The number, the extent, and the comprehensiveness of the Nehruvian blunders can’t be matched. Comprehensive? Other leaders blunder in one or two or three areas. Not Nehru. His coverage was comprehensive. He blundered in practically all areas (and sub-areas, and in very many ways): external security, internal security, foreign policy, economy, education, culture,… it’s a long list. An examination of his record leaves you gasping. In response to my blog and tweet, a person tweeted to me a very cryptic label to capture the essential Nehru: “Nabob of Cluelessness”. Judging from what Nehru did or blundered, it seems he had no clue on what ought to be done! One wonders why Gandhiji had to choose such a person as India’s first prime minister overriding Sardar Patel, who was the democratic choice of the overwhelming majority: 12 of the 15 (80%) PCCs (Pradesh Congress Committees)? That act of Gandhiji must go down as his mega-mega misjudgment and miscalculation, and a blunder that cost nation huge!! Below are given some of the major blunders of the Nehruvian era. One might say all those things happened long ago, why bother now? The reason why Nehruvian blunders are difficult to ignore or forget is that we are still grievously suffering on account of them: be it Kashmir; or Indo-China border problem; or economy thanks to the socialistic-bureaucratic mindset and drag; or the dominance of the regressive poverty-perpetuating and prosperity-preventing socialistic-Marxist-Nehruvian-leftist thinking in the academia, and in the political discourse, and in almost all the political parties whether Congress or NCP or JDU or SP or TMC or CPI or CPM or BSP; cultural and mental slavery; or …! Extrapolating the time it took Singapore, South Korea and Taiwan to become first-world countries by adopting competitive capitalism, and the time it took West Germany and Japan to rise from the ashes of the Second World War by adopting capitalist economy, it seems reasonable that India would have been a prosperous, first-rate, first-world country by 1980 had it too adopted free market economy, competitive capitalism and befriended the West. Unfortunately for the crores of starving Indians and millions of others who had great hopes for themselves, their families and the nation after independence, Nehru guided India into a poverty-perpetuating-and-misery-multiplying socialistic-bureaucratic black-hole, despite the global evidence that no country had prospered under communism and socialism. His descendants, Indira and Rajiv Gandhi, by doing much more of the same, made the situation worse. UPA-I and II, by part reverting to the Nehru-Indira disastrous ways, reversed the Narsimha Rao–Vajpayee upward trend. Poor countries are poor because those who have power make choices that create poverty. Nehru was the founder of what Daron Acemoglu and James Robinson call in their book the EXTRACTIVE INSTITUTIONS that have been the root cause of India remaining a third-rate third-world nation. Sardar Patel, Rajagopalachari and Rajendra Prasad were opposed to socialism. If only they had led India after Independence, rather than Nehru, India would have been a prosperous first-world country long ago, and it would hopefully have been saved from the debilitating feudal dynacracy (dynastic democracy), that is at the root of all miseries. ~ Margaret ThatcherA young man who isn’t a socialist hasn’t got a heart; an old man who is a socialist hasn’t got a head. ~ David Lloyd GeorgeLeftism or socialism in general has a record of failure so blatant that only an intellectual could ignore or evade it. Marxism and socialism were something Nehru was sold out on since the 1920s, wrote approvingly about in his books, advocated vigorously all through, and, unfortunately for India, implemented it post-independence in his own Nehruvian way. Nehru uncritically accepted socialism. It is strange that while Nehru’s books approvingly talk of Marxism and socialism, there is no comparative analysis by him of much more proven competing economic thoughts. It was as if Adam Smith, Alfred Marshall, JS Mill, John Maynard Keynes, Friedrich Hayek, Milton Friedman and others did not exist for Nehru. Economics is a serious subject for its affects the lives of millions, and for Nehru to take up a firm position on one trend of economics without critical appraisal of the alternatives was not only unwise in the academic sense, it proved disastrous to the nation in practice. Further, even if Nehru mistakenly believed that communism was doing good for one country, the USSR, how was it that he did not notice the many countries prospering under capitalism, like the US, the Western-European and the South-East Asian countries. Was Nehru—the scientifically-minded person—going more by personal bias than by facts! Mr Jawaharlal Nehru returned from Cambridge with notions of how an all-governing interventionist state can force people into happiness and prosperity through socialism…He sticks to this bias in spite of the demonstration of world experience against it…I hate the present folly and arrogance as much as I hated the foreign arrogance of those [British] days. In fact, Nehru’s prejudice—which he picked up at Harrow and Cambridge—against capitalism had more to do with his cultivating himself as an upper-class Englishman, who had a bias against trade, than on understanding of economics or economic history; just as his socialism had more to do with upper-class English Fabians, than with any genuine experience of or revolt against poverty. Stress only on public sector and restrictions on private sector throttled growth in industrialisation and employment, and adversely affected chances of prosperity and poverty reduction. Nehru, through his anti-private-sector policies, throttled industrialisation. Although, in comparison with the deliberate neglect in the British period, the progress in industrialisation during the Nehru period was much better owing to significant public sector investments. British set up or allowed setting up of only those minimal things that helped them in their trade, business and greed—not what was required for a country like India. Post-independence industrialisation was also helped by the very significant second world war sterling debt repayments by the UK, and aid by other countries like the US, the USSR and Germany. However, when the repayment of the sterling debt by the UK tapered off, and not much further foreign aid was forthcoming, and the public sector into which Nehru had sunk the investment was either in loss or not able to generate adequate surplus, the industrialisation momentum began to taper off, as there were no funds; and given Nehru’s socialistic approach, the private sector was anyway shackled! Further, not learning anything from Japan and others, who had dramatically prospered with their outward-looking, export-led growth, India under Nehru went in for inward-looking, import-substitution model, denying itself a world-class, competitive culture, incentive for production of quality products, share in the world-trade, and the consequent prosperity. Instead, India invested heavily in the inefficient public sector, over-regulated and strangulated private enterprise, shunned foreign capital, and ignored better technology. Many industries were barred for the private sector. When entrepreneurs in the countries in Southeast Asia, like South Korea, were being encouraged to expand and set up industries and their government was offering them cheap credit, here in India we were doing the opposite: GD Birla was refused a license for setting up a steel plant; scores of business proposals of Tatas were rejected; Aditya Birla, looking to the hostile business environment in India, chose to set up industries outside India;…the list is endless. Krishna Menon [the right-hand man of Nehru] had reportedly snubbed offers of the Japanese corporate representatives for collaboration saying it was out of question on account of the vast differences in the policies of the two countries. Given license-permit-quota-raj, reluctance to give licenses to the so-called “monopolies”, anti-business policies and extortionist taxes—maximum slab rate being over 80%—industrialisation had to suffer. Industrialisation and industries were sought to be controlled and managed by Nehru’s IAS babus who knew next to nothing on how to run an industry. Nehru and the socialists had very simplistic notions on wealth creation: Nehru thought that all it took to have economic prosperity was to invest in industrialisation, especially in heavy industries, and to put babus in charge. Market, competition, entrepreneurship, quality, top-line, bottom-line—those funny words existed in the English dictionary in total contempt of the Nehruvians. No entrepreneurship was required. Sarkar was the entrepreneur. It would decide what to produce, what not to produce, and how much to produce, and at what rate to sell—the market itself would be controlled by Sarkar. Nehru and his team were seemingly innocent of the basics of economics: without a prosperous agriculture, you can’t have agricultural surplus, and without that, you can’t feed the growing urban population and sustain industrialisation. Yet, they neglected agriculture, which adversely affected industrialisation, and resulted in mass poverty, hunger and famines. India under Nehru became a land of the hungry millions, and was forced to go around the world with a begging bowl. I had quarreled with him [Nehru] regarding his neglect of the village economy, especially agriculture, and protested to him about his almost total neglect of irrigation which was the key to Indian agriculture… Nehru told me disparagingly, ‘You are a villager, you know nothing.’ I retorted, ‘If you had one-tenth of my regard for the village, the Indian economy would have been different.’…I am not sure if he had any convictions, except for aping the Russian model. Neglect of agriculture resulted in famines, and turned India into an international beggar, and a nation of hungry millions. Pathetic communication networks and transport severely affected economic growth, fight against poverty, mobility, employment generation and national integration. How’s it that we got so left behind? What is it that we did, or did not do, after independence, that everything is so abysmal and pathetic? Why did we fail to leverage such rich assets of a gifted country? Well, all thanks to Nehruvian socialistic nightmare. India, which was far better placed with respect to many countries in Southeast Asia, when Nehru took over the charge of India, was left far, far behind all of them by the end of the Nehru’s tenure. Nehru miserably failed to do justice to India’s potential. Let’s take a concrete comparative example. After its separation from Malaysia in 1965, Singapore was left as an independent country that was not only poor and backward and with meagre defensive capabilities, it had NO natural resources—not even water! It had to import water from Malaysia. Lee Kuan Yew, often referred to by his initials as LKY, who became its Prime Minister, lead it through its traumatic separation. Thanks to his enlightened grasp on “what makes a nation strong and prosperous”, sound and far-sighted diplomacy and foreign policy, innovative ideas, wise strategy and unmatched competence in governance, he lifted Singapore from a poor, backward, “Third World” nation in 1965 to a “First World” Asian Tiger by 1980—in mere 15 years! In comparison, what did India achieve during the 17 years of Nehru rule? India had tremendous natural and water resources and the significant colonial legacy of defence, military, trained bureaucracy, industries and infrastructure, particularly railways. However, at the end of Nehru’s 17-year rule India remained a poor, third-world country of starving millions begging the world for food and aid, that had miserably lost a war with China and had made enemies of all its significant neighbours! LKY managed to convert barren Singapore, with no water resources, into a clean, beautiful, green, garden nation. And, what has India done after independence? Converted India into a gigantic garbage bin! Hopefully, Narendra Modi’s “Swachh Bharat” initiative would help change the scenario. Kashmir has been bleading us grievously right since independence both in terms of men and money. Millions are doled to the state each year for bare upkeep, and many more millions are spent each year on its internal and external security. Thousands of army men have lost their lives to defend it, or to fight terror. The sacrifice continues. Hundreds of civilians have been killed. Kashmiri Pandits, the original inhabitants of Kashmir living there for thousands of years, have been ethnically cleansed. Thousands were brutally murdered or raped, and lacs having been forced out. The land which got its name from the sage Kashyap; the land which got its famous river Vitasta (now called Jhelum) thanks to the trident struck on the spot by Lord Shiva at the instance of Rishi Kashyap as per the Hindu mythology; the land that nourished Shaivism, Vaishnavism and Buddhism, and spread them for the benefit of mankind; the land and its ambiance regarded as ideal for meditation and religious life by Lord Buddha himself who had desired Kashmir to be the focal point for the spread of his message; the land on which Ashoka founded its ancient capital Srinagari about 5 kilometres away from the current capital Srinagar; the land of Kalhana and his historical chronicle Rajatarangini (River of Kings); the land, which was then a great centre of Buddhism, visited by the famous Chinese pilgrim Hiuen-Tsang during 630 to 645 CE, and where he studied Sutras and Shastras; the land which drove out Mahmud of Ghaznavi, and made him lick the dust, not once, but twice, in 1015 CE and then in 1021 CE, by the brave king of Kashmir, Sangramraj, not once, but twice—in 1015 CE and then in 1021 CE, and after which Mahmud did not dare to again attack Kashmir; the land which was almost totally Hindu or Buddhist till the 14th century CE; in that land’s part, the Kashmir valley, the Hindus, that is, the Kahmiri Pandits, have been cleansed out, and you are victimised for raising pro-India slogans or for hoisting national flag, and that too after India’s independence; and ! The root-cause of all the above is mainly one person: NEHRU. If Nehru had kept away from the J&K issue, and had allowed Sardar Patel to handle it like he was handling merger of all the other Princely States, J&K would have merged with India like all the remaining 547 states, with no special status. However, Nehru, in his “wisdom”, chose to divest Sardar Patel of the charge on J&K, and began handling it himself with the help of his chosen person Gopalaswami Ayyangar. Net Result: Nehru single-handedly created the J&K problem (aided by or at the prodding of Lord Mountbatten), and rather than solving it, made it more complicated. The problem still bedevils us and costs us tremendously both in money and men. He did one blunder after another on J&K, and unnecessarily internationalised what was purely an internal issue by taking it to the UN, again under the influence of Lord Mountbatten, ignoring the advice of Sardar Patel. Maharaja Hari Singh had reportedly decided in September 1947 to offer Kashmir’s accession to India. But it was refused by Nehru, who first wanted Sheikh Abdullah to be freed and installed as the prime minister of the State—something not acceptable to the Maharaja. Was it not queer? The nation being favoured with accession laying down conditions, rather than the state agreeing to merge! But, that was Nehru!! Even the Kashmir that India retains would have gone out of its hands had the matters been left to Nehru. It was thanks to Nehru’s wrong decision that PoK—Pakistan Occupied Kashmir—came into existence, when Indian army was on the verge of getting the whole of J&K vacated. The capture of Muzzafarabad, now the capital of PoK, was imminent. The Army, however, was ordered to suspend all offensive operations with effect from 1 January 1949. When KM Cariappa (the then General Officer C-in-C, Western Command) asked Nehru about the decision a few years later, Nehru conceded that the ceasefire order ought to have been delayed! Article-370 on J&K is thanks to Nehru, who brought it about at the instance of Sheikh Abdullah, despite opposition by many at the time, including Dr BR Ambedkar and Sardar Patel. Gopalaswami Aiyangar, appointed by Nehru, moved Article 306A—which later became Article 370 in the Indian Constitution—in the Constituent Assembly on 17 October 1949 guaranteeing special status to J&K. This was at the instance of Sheikh Abdullah, and with the concurrence of Nehru. Although many in the Constituent Assembly were not in favour of it, they consented, keeping in view Nehru’s wish, who was then the main person steering the J&K policy. Those not in favour included Ambedkar, Maulana Hasrat Mohani, Sardar Patel, and many others. India, which was a Dominion, became a Republic on 26 January 1950, and Article 370 came into force for J&K. Having achieved what he wanted through the Article 370, having got rid of the Maharaja, and with Nehru having surrendered all leverages by putting all eggs in one basket—Sheikh Abdullah’s—Sheikh gradually began to act difficult. By this stage, ambassadors of the US and other countries began to meet him. This made Abdullah feel powerful enough to start unfolding his actual agenda—of independent Sheikhdom. The British were supportive. Said Clement Attlee in London in November 1953: “Kashmir should belong neither to India nor to Pakistan but be independent.” Nehru now began to feel the heat. To his colleagues he could not say, as he had gone against their advice. However, in his letter to his sister, Vijaylakhmi Pandit, he expressed his bitterness. Mr Abdullah, you want that India should defend Kashmir, India should develop Kashmir and Kashmiris should have equal rights as the citizens of India, but you don’t want India and any citizen of India to have any rights in Kashmir. I am the Law minister of India. I cannot betray the interest of my country. ~ Dr Ambedkar to Sheikh Abdullah who was sent by Nehru to explain to him (Dr Ambedkar) the position and to draft an appropriate Article for the Constitution. Jawaharlal royega [Nehru will regret this]. ~ Sardar Patel had confided to his secretary, V Shankar, on Article-370. In the debate in the Constituent Assembly, Maulana Hasrat Mohani of UP stated that while he was not opposed to all the concessions that were being granted to his friend Sheikh Abdullah, why make such discrimination; if all those concessions were to be granted to Kashmir, why not to the Baroda ruler too. There are many adverse consequences of Article 370. Some of them are: (1)Regionalism, parochialism and secessionism. (2)Denial of fundamental right to an Indian citizen to settle in J&K permanently. (3)Denial of fundamental right to an Indian citizen to purchase property in J&K. (4)Deprivation of right to vote to an Indian citizen, as he or she cannot become a citizen of J&K. (5)Denial of jobs—an Indian citizen, who is not also a citizen of J&K, cannot get a job in J&K. (6)A woman, who is a permanent citizen of the State, loses her property, including ancestral property, if she gets married to a man who is not a citizen of the State. Also, she can’t get a job in the State, nor can she get admission in colleges getting financial aid from the State or the Union Government. (7)Hindu immigrants who were ousted from their ancestral homes in West Pakistan at the time of partition and settled in J&K have not yet been given citizenship. This includes their children and grand children. Of course, the biggest negative is that it has come in the way of full integration of the State, which has gravely harmed both the people of J&K and India. Article 370 helps protect the corrupt J&K politicians from the more stringent central provisions, and keeps them out of reach of CAG. To the general public, it does not benefit. It is actually counter-productive. If J&K were like any other state in India, there would have been much more private investment in it, leading to prosperity. Nehru failed to reach an accommodation with Pakistan during his life time, making our western and north western borders sensitive, costing us heavily to secure them.